This three-book bundle is a great way to keep your little reader going. 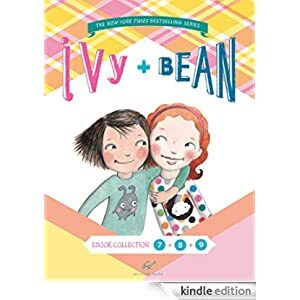 This bundle contains books 7-9 in the series, including: Ivy and Bean: What’s the Big Idea?, Ivy and Bean: No News Is Good News, and Ivy and Bean: Make the Rules. In these three books, the beloved characters have all new adventures, including solving global warming, creating a neighborhood newspaper, and inventing the best camp ever. And as always, their escapades are hilarious and filled with surprises! Buy this bundle for only $2.99 today. Suitable for grades 1-4.